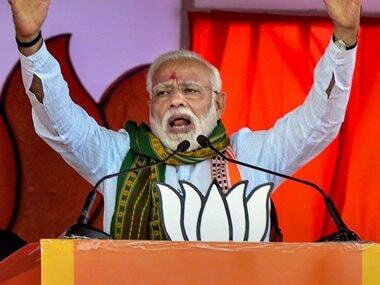 Launching a fresh attack against the Congress over the use of term "saffron terror", the Bharatiya Janata Party (BJP) on Tuesday accused party president Rahul Gandhi of defaming Hindus "globally", and cited a telegram sourced from Wikileaks to back its demand for an apology. "If Congress considers India to be its own, Sonia and Rahul must apologise to the whole country for defaming the Hindu religion by trying to prove that there was something called 'saffron terror'," BJP spokesperson Sambit Patra said at a press conference on Tuesday. Citing a telegram sent by the then US Ambassador Tim Roemer to the US Department of State, Patra claimed that Rahul made the anti-Hindu remarks during a dinner event on 20 July, 2009. "First, the meeting is explained. Then it's written that in a candid conversation with the ambassador, Rahul responded to a query about Lashkar-e-Taiba (LeT) and its threat to India, and said that 'there was evidence about some support for the group among some Muslim communities'. But he warned about the larger threat of radicalised Hindu religious groups to the country. (By this, Rahul means) the risk of a home-grown extremist front reacting to terror attacks coming to Pakistan was a growing concern and one that needs attention," he said. "This shows the mindset of Rahul Gandhi towards Hindus. His party has always take Hindus for granted," Patra said, adding that the telegram is a classified document. Patra said that Rahul is not an unimportant person and his comments matter. "The dinner was extremely important, in which Rahul was seated besides the US ambassador. Remember this is not a casual conversation, but an extremely important conversation. Though he may have been the then general-secretary, he was the most important person number two (After Sonia Gandhi) in the party. His words had meaning, his words had mass," he said at the press conference. 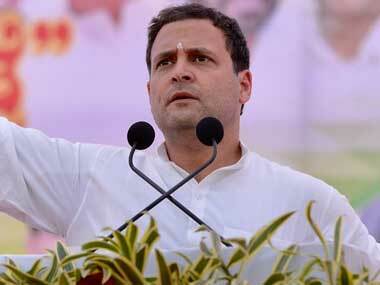 Patra further accused Rahul of considering Hindu extremism and Narendra Modi, then the Gujarat chief minister, to be bigger threats than the LeT. He emphasised that Rahul's comments in the 2009 event had come a year after the 26/11 Mumbai terror attack, which was masterminded by the LeT. He demanded that Rahul address the matter publicly. "You think that Hindus will finish this country? LeT has been accused, most notably for the Parliament attack and the Mumbai attack. In many countries, LeT is banned. Today you will have to answer this," Patra said. 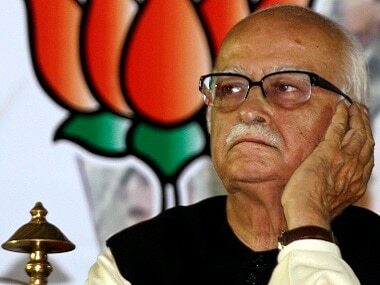 The BJP spokesperson further claimed that former UPA home minister Shivraj Patil had refused to talk about the "saffron terror" row and had directed a reporter to instead question former finance minister P Chidambaram about it. 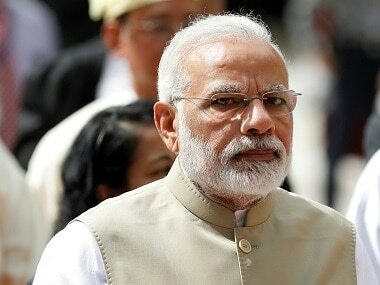 "If everybody thinks that Chidambaram has the answers, then why doesn't he conduct a press conference? Rahul Gandhi and Chidambaram should collectively hold a press conference and should debunk if they think what the BJP has said is wrong in any way," Patra said. The BJP's renewed attack on the Congress comes a day after a special anti-terror court acquitted right-wing activist Swami Aseemanand and four others in the 2007 Mecca Masjid blast case. On Monday, Patra had said people would teach the Congress a lesson in the Karnataka Assembly polls as they had in the 2014 Lok Sabha elections when it was reduced to 44 seats. "For its appeasement politics, the Congress targeted and defamed Hindus and the country for merely some votes. That conspiracy has been exposed. The Congress has been exposed like never before," he had said after the verdict came in. However, the Congress rejected that Rahul or any other party functionary had ever used the term "saffron terror" and that its political rivals were leveling baseless allegations. "Show me a video or a sound byte wherein Rahul Gandhi or any other Congress functionary is seen using the term 'Bhagva aatankwad' (saffron terror). There is no such thing as saffron terror," Congress spokesperson PL Punia said.